You’ve studied hard, college is behind you, and now it’s time to get behind the wheel of The Ultimate Driving Machine®. BMW has made it easier than you might think with a special program offered exclusively to qualifying college graduates. If you’ve recently graduated – or are about to graduate – you’re eligible for a $1,000 incentive, plus our best available rates when you lease or finance a New BMW. Customers looking to purchase a Certified Pre-Owned BMW are eligible for a $750 incentive. 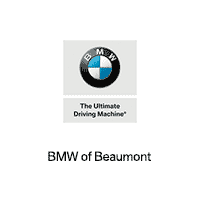 To learn more about this special offer, including any additional program requirements, please contact BMW of Beaumont.